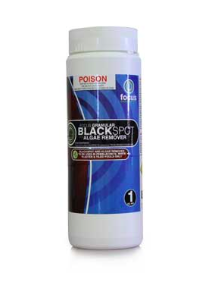 Focus Blackspot Granular is designed to treat even the worst case of Black Spot in white plaster, tiled or pebblecrete pools. Easy to use and incredibly strong, the granules are applied directly to the affected area to treat not only the Spots you see but also the roots that are deep down into the wall to prevent a re-occurrence. 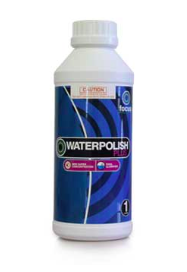 ​WaterPolishPlus is a concentrated formula clarifier that combines small particles together for collection by the filter media to restore the sparkle to water. 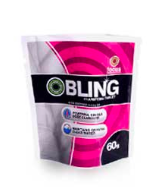 ​Bling clarifying tablets are a rapidly dissolving, single dose, polymetric clarifier that can be placed directly into the skimmer basket. 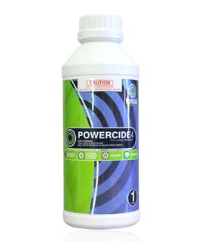 ​Focus Powercide 4 is a 4-in-1 treatment for the removal of Black Spot algae, clean-up of Green and Mustard algae, prevention of Green algae and for winterising. Does contain an Organocopper Complex. 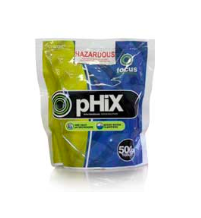 Focus Phix is a compressed tablet of dry acid and clarifiers to safely and easily maintain your pH. Just drop into the skimmer. 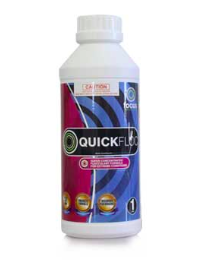 Quickfloc is a concentrated formula used to collect small particles and drop them to the floor for vacuuming to waste. This is the best way to treat a very dirty/algae infested pool BEFORE chlorinating. 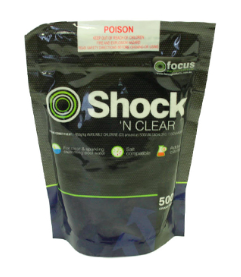 ​Focus Liquid Chlorine is used as a daily sanitiser or in large quantities to oxidise (please speak to the staff at Creative Pools for your best options).